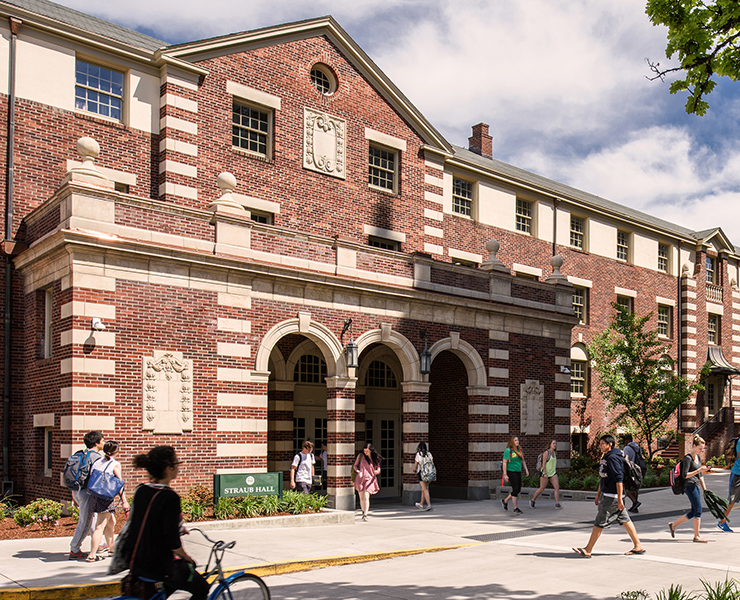 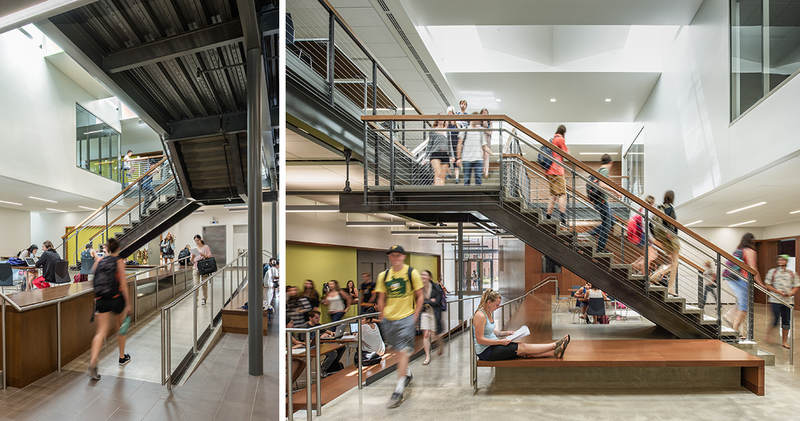 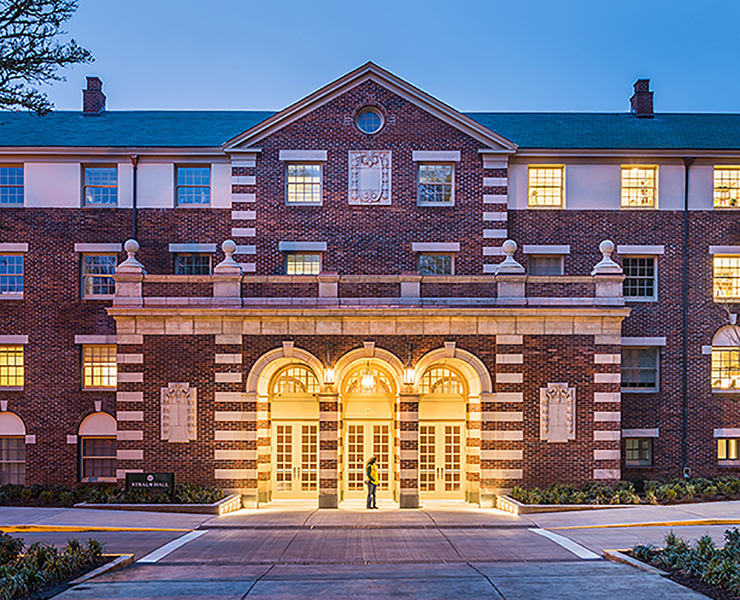 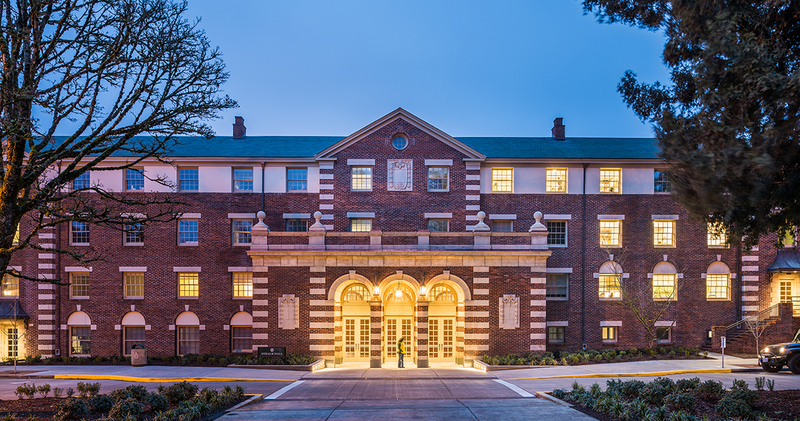 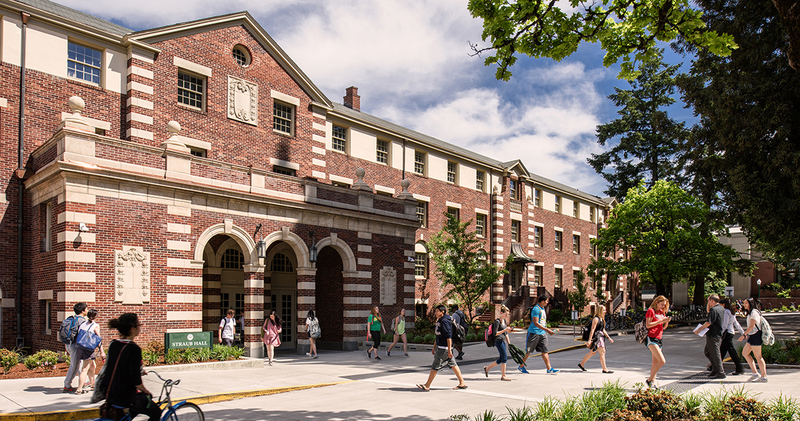 Opsis Architecture, in association with Rowell Brokaw Architects, completed a comprehensive renovation of Straub Hall and a classroom expansion of Straub and Earl Halls totaling 83,000 sf. 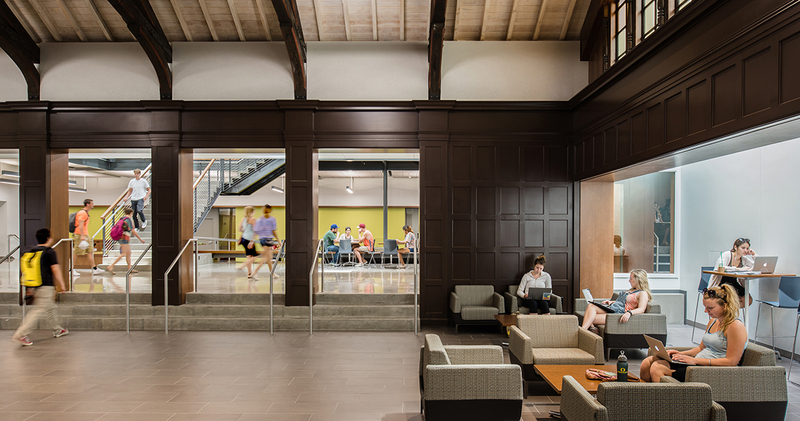 The renovation of historic Straub Hall—originally built in 1928 as a dormitory—provides much needed infrastructure replacement and a full interior renovation, transforming it into an innovative 21st Century academic facility. 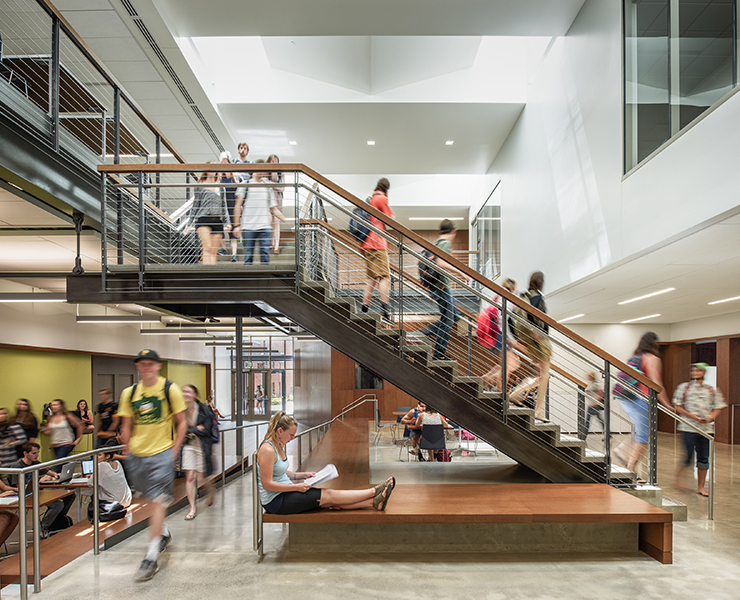 The project includes approximately 1,000 total classroom seats in a two story building. 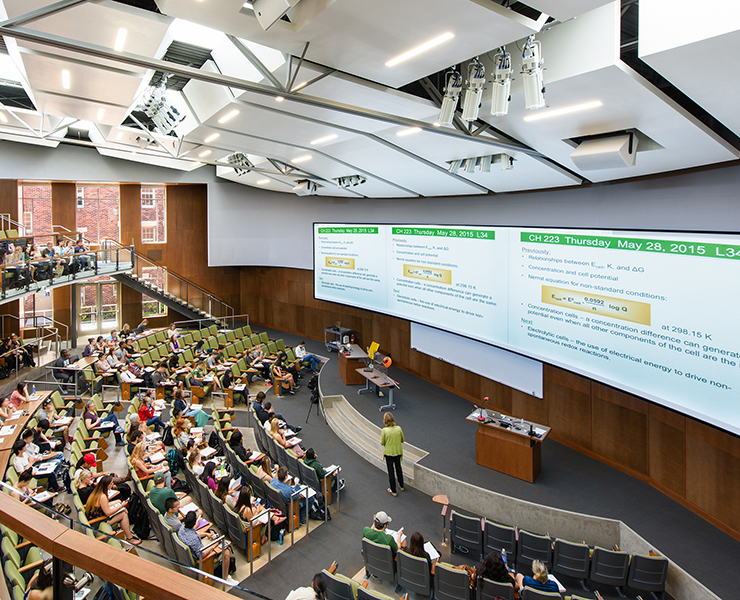 Classrooms include 500- and 150-seat lecture halls and smaller learning spaces of various sizes organized around central circulation and gathering spaces. 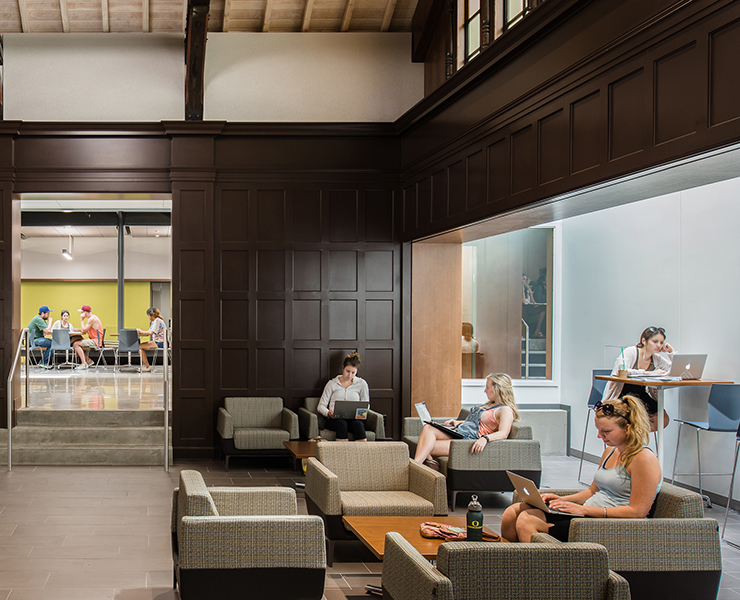 Located between an academic building, Straub Hall, and a residential building, the new expansion space also provides a new connection between campus open spaces. 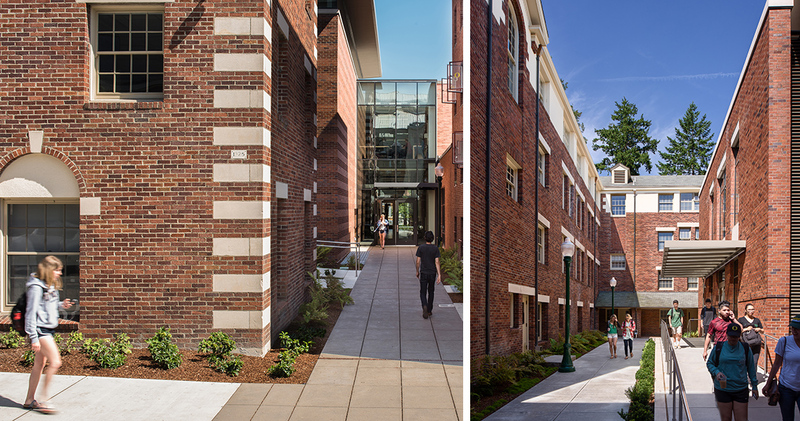 Opsis leveraged the building’s seismic, MEP, life-safety and ADA accessibility improvements to completely re-configure the footprint of the interior into a highly functional layout and energy-efficient design through the integration of a radiant heating system, natural ventilation and effective daylighting. 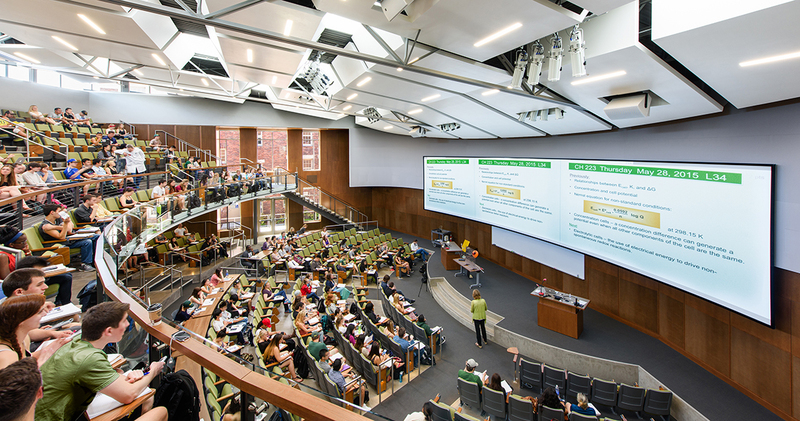 It includes one of the nation’s finest technically daylit large lecture auditoriums.